Has Callum Wainstein has found his favourite burger in Cambridge? Steak and Honour instantly stands out in Wheeler Street, with its bright muralled exterior drawing the eye in an otherwise relatively drab Cambridge street. Inside the décor is largely Spartan – this is an establishment where the food is king, don’t go if you are looking for a nice atmosphere or a pretty interior. Instead you are faced with white walls and functional chairs: Steak and Honour’s legacy as a street food van is obvious. You won’t have particularly long to consider the restaurants aesthetic qualities though –my food was served in an impressive seven minutes. The One for Ella is comprised of a larger patty than the usual Steak and Honour burgers, and served simply with bacon, cheese and burger sauce. The thicker patties have the result of allowing the meat to be cooked to a more satisfying medium, verging almost on medium rare – the result of which is that the burger remains juicy and that the beefy taste of the meet is not lost in combination with the other flavours. It is actually the burger sauce which stands out in the burger – it is certainly the first thing that I noticed when I took a bite. It is sharp, with a touch of sour – the key tastes being onion and gerkin. It provides the perfect counterpoint to what would otherwise be an overwhelming burger. The burger sauce also does wonders for the structure of the burger, softening the buns and making the entire sandwich mould together into a glorious sloppy mess. I wouldn’t recommend The One for Ella for people who want something light or neat – however if you are in the search for a rich, overwhelming burger, it’s perfect. The Cheeseburger offers a more manageable fare. It comes with all the traditional burger trimmings: lettuce, onions and pickles. If the One for Ella is the overwhelming, eat and then lie down burger, the Cheeseburger is a much more tame fare – it maintains its structural integrity and doesn’t pack quite the same punch. This is not to say it’s an inferior burger. The Cheeseburger is for when you want a (relatively) light meal. The Fries are honestly some of the best I’ve ever had. Perfectly crunchy on the outside whilst maintaining a fluffy interior. And maybe best of all, they have an adequate amount of salt (something which I didn’t think would be problematic until I had the fries on offer at McDonald’s Rose Crescent). It is a generous portion, more than enough to share between two if not stretched to four – though they are so good that I had an entire portion to myself! I wouldn’t recommend The One for Ella for people who want something light or neat – however if you are in the search for a rich, overwhelming burger, it’s perfect. Their Mac-and-Cheese is not at all what I expected. I was imaging a pot of pasta with some creamy cheese, I was instead served with blocks of macaroni pasta stuck together and draped in what I’m 99% certain was just melted American Cheese. I imagine this description doesn’t sound particularly appetising, but in actual fact it was quite nice, if insanely rich. The portion was once again very generous, and I think, if for some reason you didn’t feel like a burger, it could probably serve as main. Pricing wise Steak and Honour base pricing makes it competitive with the other burger places in Cambridge, particularly as there is a 20% student discount on burgers. I would strongly recommend that people keep an eye on their Instagram as they have a five-pound lunch special Monday-Thursday advertised on the app. Steak and Honour points in many ways to the future of the British food industry. 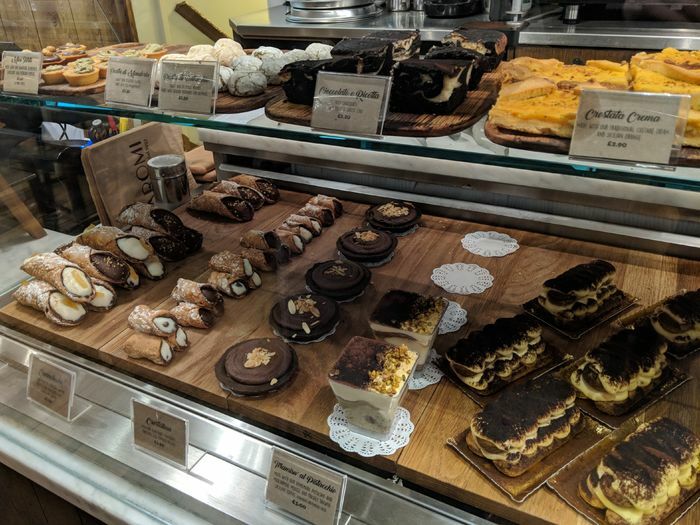 Its genesis was in a popular Cambridge street van, and we are increasingly seeing the most innovative and exciting new food establishments develop this way. This is part of a broader transformation in what we look for in our restaurants, instead of the old fashioned expectation of a massive à la carte menu with a galaxy of choice, diners are instead preferring restaurants with a more focussed menu. Steak and Honour also exemplify another growing trend in the food industry, which is the increasing emphasis on sourcing their produce from local sources – their cows are free-range animals who graze along the conservation grasslands of East Anglia. Suffolk, Norfolk, Bedfordshire and Cambridgeshire. Overall I would strongly recommend Steak and Honour – I don’t believe you can find a better burger in Cambridge!